you're welcome and yeah, trying to keep a decent profit margin is hard. can you cop free bottles from your eatery or local restaurants to offset the light cost? or bulk light purchase? should you pursue, consider giving out little hazard warnings scripts just to keep people informed-- bonus if you can get em to a size you can glue to the back of the bottle. I'm actually excited for Christmas this year too. I blame Neka she got me wantin' to decorate and stuff. we can't all blame me. maaaaaaaan... y'all like christmas don't you? Is that last picture from an I Spy book? hmmm, not that i know of. 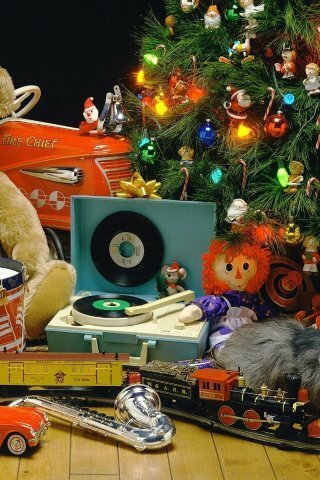 it's just a random "retro christmas" pic. Isn't your birthday in december coco? i like the cool weather part though.